Product development begins when the Marketing Department approves a new product idea, and Health Sciences reviews the ingredients for safety and efficacy. Research and Development then begins to formulate the product from concept to finish. Each finished product must meet exacting criteria to ensure quality and consistency. 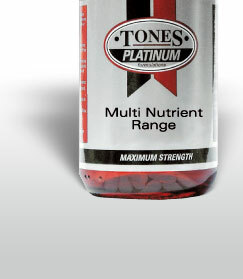 International GMP (Good Manufacturing Procedures) is the minimum standard for the TONES PLATINUM Range. We are proud to say that our Quality Assurance is never compromised and our commitment to delivering the finest quality product to our customers is of the utmost importance.